Now 1-2 Months 2-3 Months 3 Months + I don't know ! Its great to hear that you have taken the plunge and entered the next phase of your career. I wish you well and I will always recall the good work and support you provided me managing my property portfolio. Your networking skills are quite exceptional and your eye for detail in terms of managing and drawing up contracts sets you apart from the rest. Choosing Helpmerent.co.uk has proven to be a great decision. Craig's professionalism and efficiency is second to none. This was evident by the sheer number of viewing we received in such a small amount of time. Unlike many letting agents that we have worked with in the past, Craig listens to your brief and works with you to find the most suitable tenants. In the short time that it took him to find us a tenant, Craig kept us informed with the progress from start to finish. 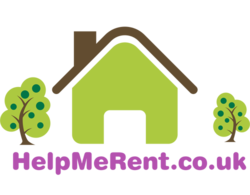 I have recently had the pleasure of renting a property through Craig @ HelpMeRent.co.uk & I would like to let everyone know how refreshing it is to see someone enjoy what they do ! He’s not just running a successful business… he is doing it in a totally transparent and ethical way. Craig does not charge any tenant fees and after getting to know him it is clear this is not just a gimmick, he truly believes extra charges to tenants and landlords are unfair and is making the renting process a lot easier for everyone. Craig, keep up the good work !